CyberLink PhotoDirector SE or special edition license key giveaway for everyone. Normal price the photo tool $99.99. Version CyberLink PhotoDirector is not the latest because CyberLink have released new version the tool. 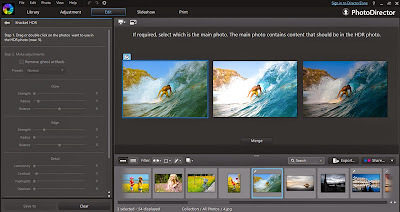 The offer CyberLink PhotoDirector free license key is available for a short time. CyberLink PhotoDirector is photo management and editing tool like Ashampoo Photo Commander. The software having easy-to-use interface that lets beginners and experts users manage their digital photo with ease. CyberLink PhotoDirector is innovative applications that combines photo manager and optimizer into one software. You can download the full license key of the CyberLink PhotoDirector from following link. Caused it time limited giveaway, the price of the tool will normal again after offer expires. CyberLink PhotoDirector Giveaway page: Visit the giveaway page! Maybe be you ask how to get the license key. There is a few steps requires, to get the full license key. Interested user who want to download the software, visit the giveaway page. Enter required information and use coupon code “PractPhoto15” on the online form. Submit your request and you’ll receive the license key + download link for CyberLink PhotoDirector instantly. The giveaway version is not latest CyberLink PhotoDirector version. Newest version CyberLink PhotoDirector is available with discount up to 77%. Visit the official offer page to get latest version license at cheapest price.